WASHINGTON, DC, October 14, 2011 (ENS) – The House of Representatives today passed another bill that would prevent the U.S. Environmental Protection Agency from protecting public health. H.R. 2273, the latest in a series of such bills approved in the past three weeks, would limit the agency’s ability to regulate toxic coal ash created by coal-burning power plants. “Poisoning people once by burning coal is bad enough. But letting these power plants expose the public a second time to their toxic wastes is inexcusable. Double-jeopardy is not the American way. Only in the Tea Party’s universe can arsenic and other heavy metals escape the label of hazardous waste,” said Scott Slesinger, legislative director at the nonprofit Natural Resources Defense Council. The contaminants in coal ash are known to cause bladder, kidney, liver, lung, prostate, and skin cancer. The EPA’s effort to regulate coal ash disposal began after the December 2008 coal ash spill from the Tennessee Valley Authority’s Kingston Fossil generating plant in Roane County, Tennessee. 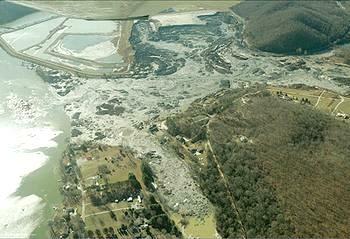 Some 3.1 million cubic feet of fly ash and water spilled onto land adjacent to the plant and into the nearby Clinch and Emory Rivers when the wall of a retention pond gave way. The sludgy tidal wave destroyed several homes, ruptured a major gas line and spilled over a railway line. The House bill would stop EPA from setting standards to require power plants to dispose of coal ash more safely at the 1,300 ash dumps around the country. Instead, the measure would treat such toxic wastes with less care than required for household trash, Slesinger said. This bill is the latest in a coordinated attempt led by House Majority Leader Eric Cantor, a Virginia Republican, to block the EPA. On Thursday, the House passed the EPA Regulatory Relief Act of 2011, H.R. 2250, which would block EPA safeguards for toxic air pollutants from incinerators and industrial boilers. The National Association of Manufacturers represents manufacturers in every industrial sector and in all 50 states. Aric Newhouse, senior vice president for policy and government relations, said members of his organization are pleased with H.R. 2250. “During this critical time in our nation’s economic recovery, manufacturers simply cannot afford another costly and burdensome regulation that will put 230,000 jobs at risk, according to the Council of Industrial Boiler Owners,” Newhouse said. “The Boiler MACT rule will cost manufacturers more than $14 billion in valuable capital that could be spent on investments to create jobs,” said Newhouse. 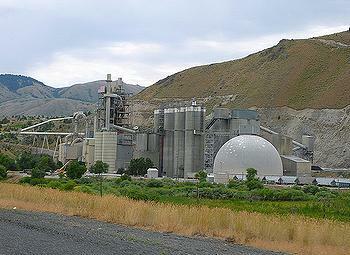 The House October 6 approved the Cement Sector Regulatory Relief Act of 2011, H.R. 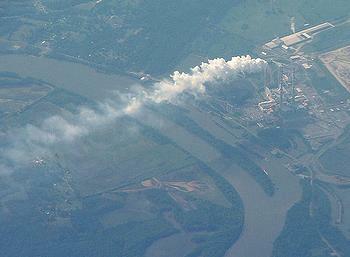 2681, which would stop the EPA from limiting air pollution from cement plants. 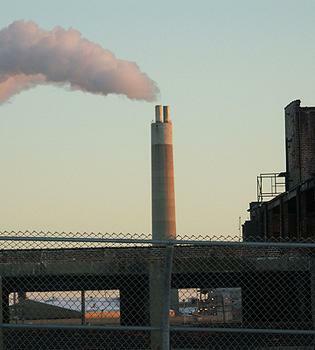 According to the nonprofit Clean Air Watch, this EPA rule will eliminate more than eight tons of mercury pollution from cement plants, and will reduce particulates, hydrocarbons, nitrogen oxides, sulfur dioxide and acid gases between 78 and 97 percent. These emissions contribute to smog and acid rain. In the days prior to the passage of H.R. 2681, House Republicans met with cement industry representatives, who pressed them to consider the harm the Cement MACT Rule would do to the industry. Last month, the House passed the Transparency in Regulatory Analysis of Impacts on the Nation Act of 2011, or TRAIN Act, H.R. 2401. This measure would permanently block the EPA rules designed to curb smog and soot pollution from power plants that blows across state lines, called the Cross-State Air Pollution Rule, and to limit mercury and other toxic air pollution from power plants. All these bills now go to the Senate for a vote, and if passed there, to the President for his signature into law. In the Senate, the first stop for these bills will be the Environment and Public Works Committee, chaired by Senator Barbara Boxer, a California Democrat. On October 6, Boxer released an EPW Committee Majority Staff Report that highlights the essential contributions that the EPA and environmental laws have made in protecting public health and promoting economic growth. The report was prepared to refute the continuing attacks on environmental protections by House Republicans. Complying with the nation’s public health and environmental protection laws has bolstered a $300 billion a year clean technology sector that employs an estimated 1.7 million people, according to Department of Commerce figures cited in the EPW report. Our environmental laws provide major health and economic benefits. For example, the Clean Air Act’s annual benefits by 2020 are expected to prevent 230,000 premature deaths, 200,000 cases of heart attacks, 2.4 million cases of asthma attacks, 120,000 emergency room visits, and 5.4 million lost school days, according to EPA figures cited in the report. The economic benefits of the Clean Air Act will equal about $2 trillion per year by the year 2020 if we continue enforcing the Act, according to the same EPA dataset.